NEW VINTAGE IS COOMING SOON! 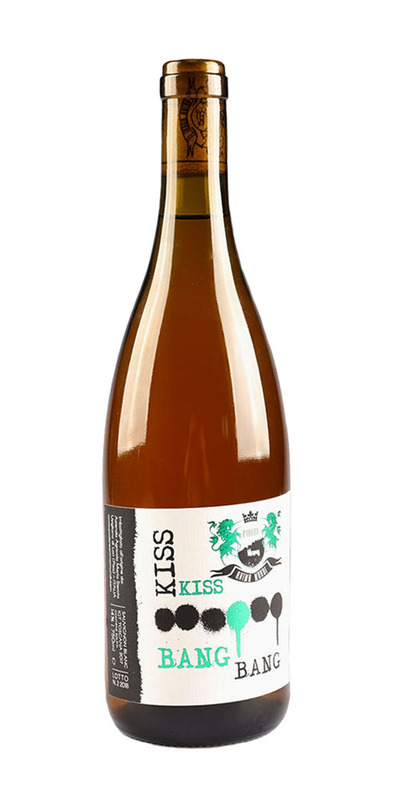 Kiss Kiss Bang Bang is a macerated wine, 100% Sauvignon blanc. The maceration time depends of the season: the first vintage was made during very hot weather so the maceration time was only few hours. The name “Kiss Kiss Bang Bang” play with the smoothness as well with the acidity of this wine. Kiss Kiss Bang Bang pairs great with young cheese, with grilled, savory prepared fish and white meat.